The essence from Zimbabwe, for the sensual woman. 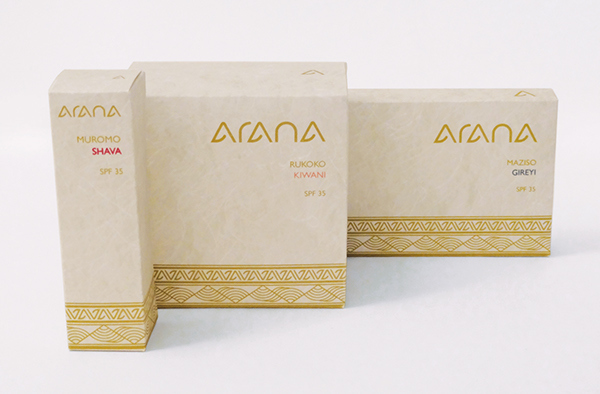 ArAnA is a high-end line of eco-friendly beauty products to be sold at Bergdorf Goodman. products are made of 100% organic indigenous flora from the Chirinda Forest of Zimbabwe. The packaging was printed using soy-based inks on a 5 line colour press. 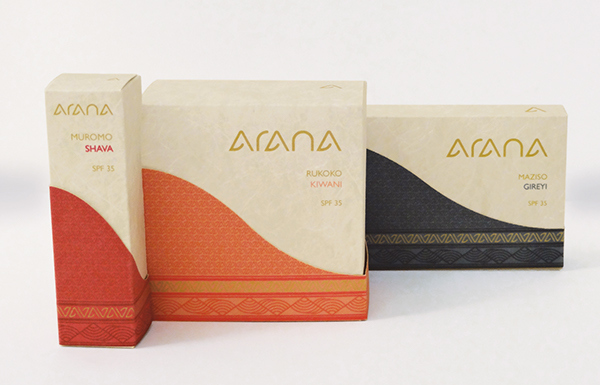 ArAnA is a high-end line of eco-friendly beauty products to be sold at Bergdorf Goodman. 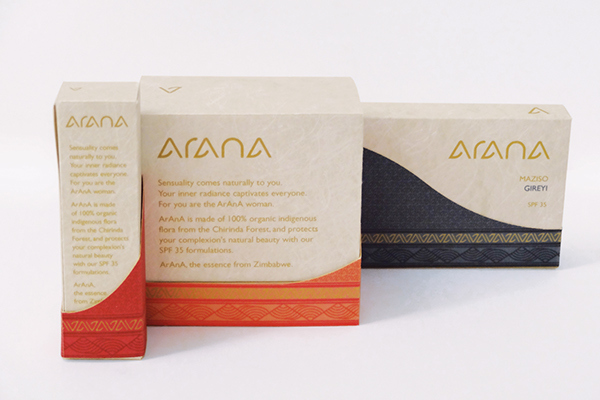 The design for the packaging was inspired by the patterns of Zimbabwe fabric. The products are made of 100% organic indigenous flora from the Chirinda Forest of Zimbabwe.